SHR Hochalpin Tour 2: The Sellrainer Hüttenrunde with Ötz- und Inntalschlaufe. For very good mountaineers with glacier passes and promising peak ascents. Sometimes small climbing is also there. The royal tour in the Sellrainer mountains. Demanding high alpine tour with many summit ascents. Round trip on the high alpine trails with summit hikes from chalet to hut between Sellrain-Ötz and Inntal through the Sellrainer mountains, Stubai Alps. Experienced mountaineers will have their pleasure in this conditionally demanding tour. In 8 stages on promising paths and beautiful peaks through the Sellrainer mountains and Stubai Alps. Through Sellraintal, the Ötztal to the Inn valley. 1. Sellrain – Potsdamer Hütte. 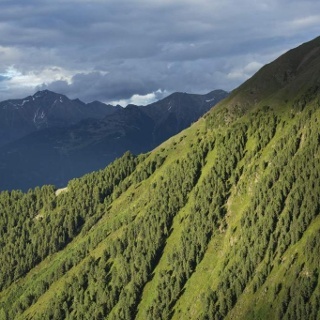 Marvelous panorama trail on the ridge between Fotschertal and Senderstal. 2. Potsdamer Hütte – Westfalenhaus. Demanding Alpine crossing via Hochgrafljoch into Längental. 3. Westfalenhaus - Amberger Hütte. Across the Längental glaciers through Scharkar to Amberger Hütte. 4. Amberger Hütte - Winnebachseehütte. Via Gaislehnscharte and Bachfallenferner glacier to Winnebachseehütte. 5. Winnebachseehütte - Schweinfuter Hütte. From Gänskragen to Schweinfurter Hütte. 6. Schweinfurter Hütte - Bielefelder Hütte. Challenging path with climbing sections via Ötztal to Bielefelder Hütte. 7. Bielefelder Hütte – Dortmunder Hütte. The most scenic peaks between Ötztal and Kühtai. 8. 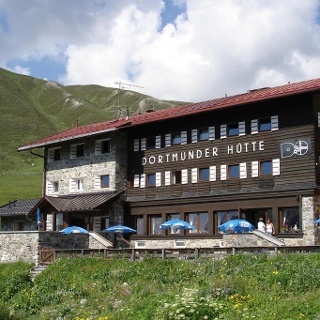 Dortmunder Hütte - Sellrain. 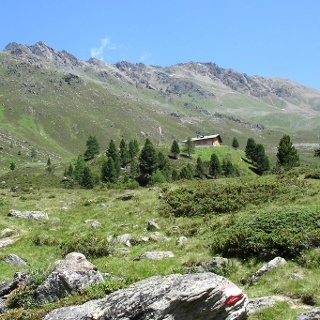 Lovely panoramic trails along Sellraintal incl. peak ascent to Rosskogel.